The M7 bayonet was used by the U.S. Military for the M16 rifle during the Vietnam War. 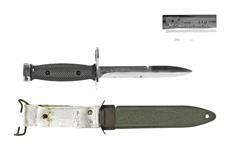 The bayonet was manufactured under the Colt contract by the Imperial Knife Company. 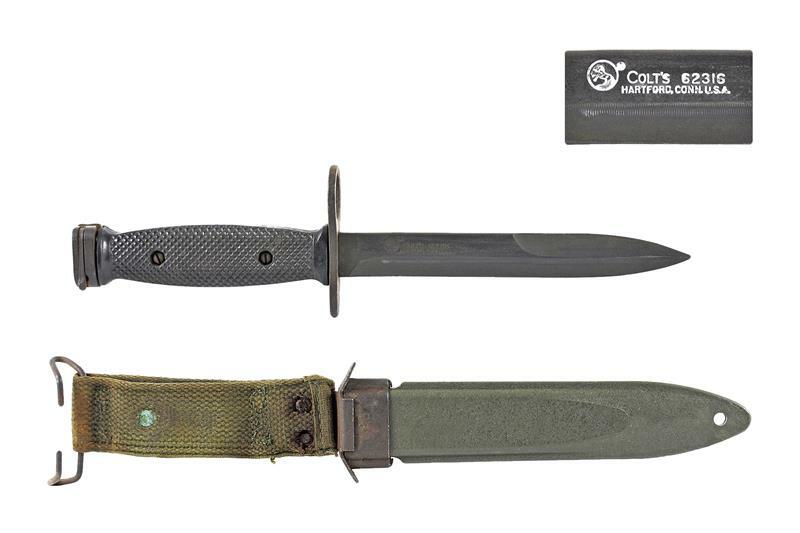 The blade is marked "Colt 62316". 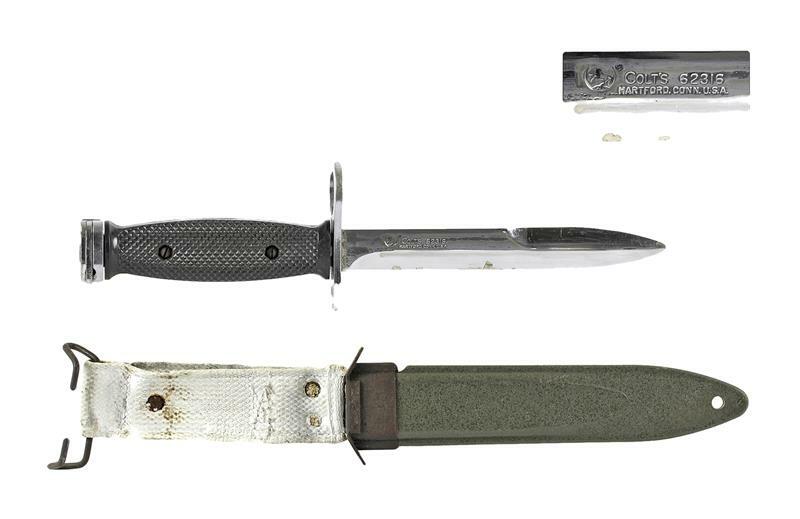 Used, condition.